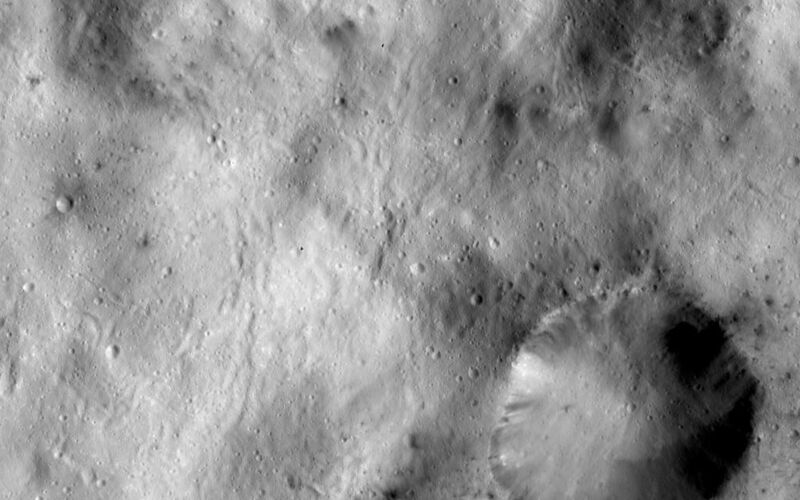 This Dawn framing camera (FC) image of Vesta shows a large crater, which is surrounded by spots of dark material, in the bottom right corner of the image. This crater has a reasonably sharp, fresh rim and it is irregularly shaped: the diameter of the crater in one direction is roughly 7 kilometers (4.3 miles) and is roughly 9 kilometers (5.6 miles) in another direction. The spots of dark material outside of the crater rim are generally associated with small impact craters and the dark material inside of the crater rim is generally cropping out of the crater rim and slumping towards its center. 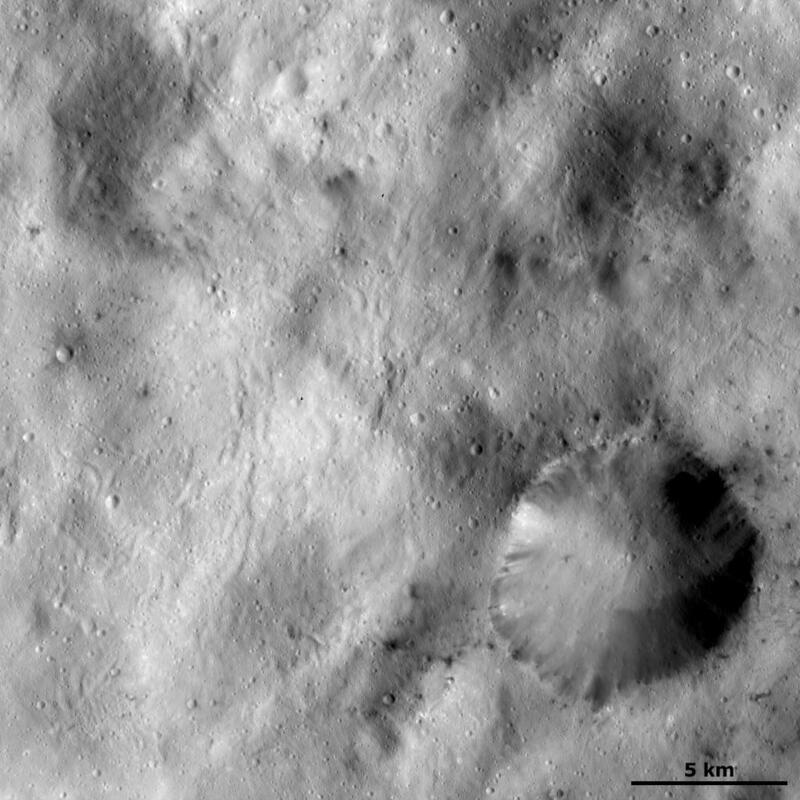 There is also some bright material cropping out the crater's rim. 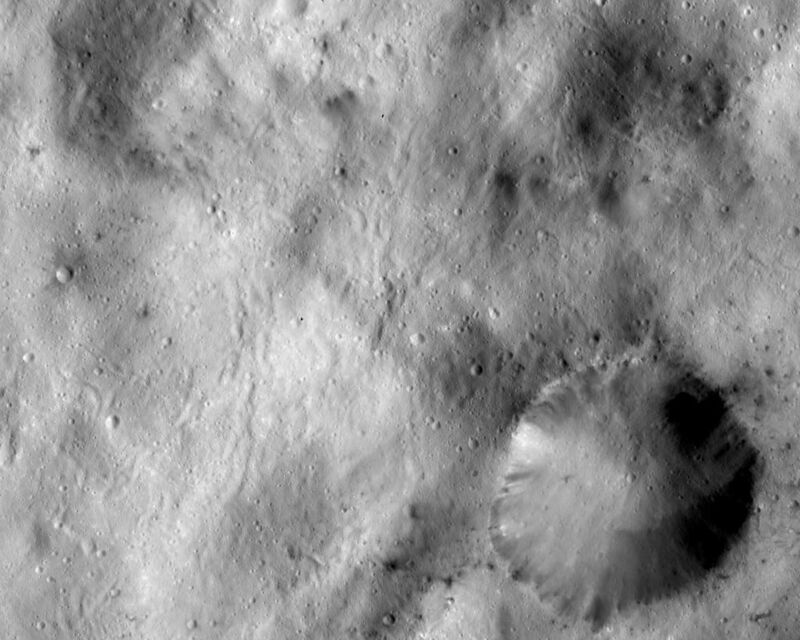 Farther away from this crater there are many sinuous grooves running diagonally across the image. This image is located in Vesta's Sextilia quadrangle, in Vesta's southern hemisphere. 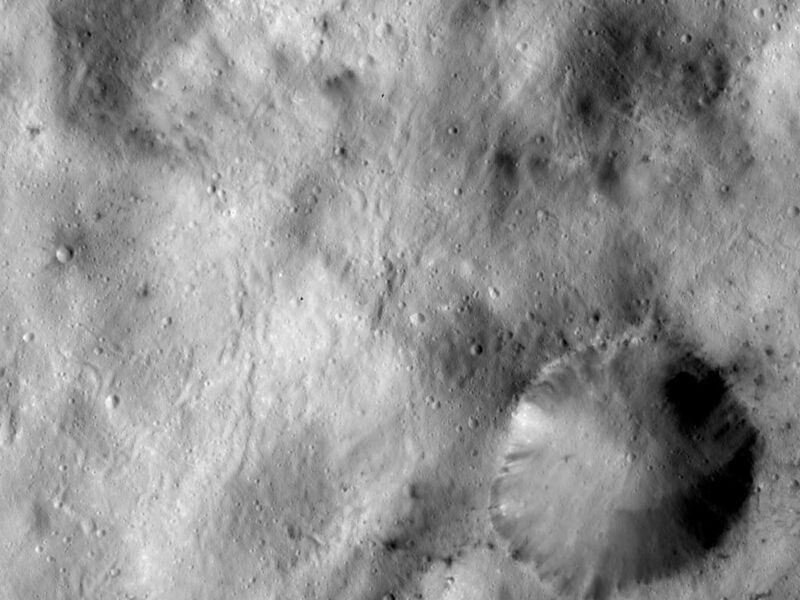 NASA's Dawn spacecraft obtained this image with its framing camera on Dec. 20, 2011. This image was taken through the camera's clear filter. The distance to the surface of Vesta is 272 kilometers (169 miles) and the image has a resolution of about 25 meters (82 feet) per pixel. This image was acquired during the LAMO (low-altitude mapping orbit) phase of the mission.